Cloud Climbing Beauty: Terrific Tuesday - Avon Living! It's Tuesday evening, but I will not let the day slip away without a Terrific Tuesday post. 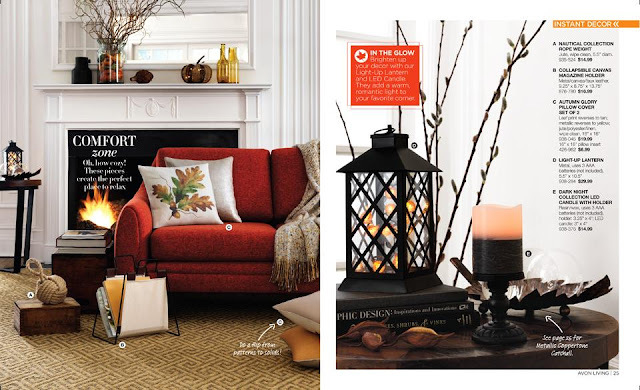 This time I'm going to feature and entire line of products....our current Avon Living catalog. This season, we all have a lot to be thankful for. 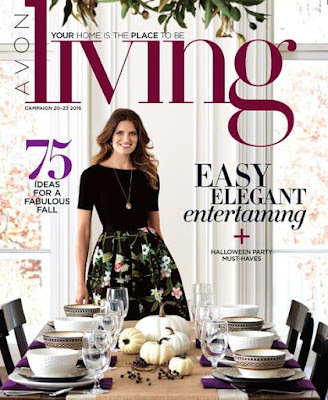 It's time to embrace loved ones and in this edition of Avon Living, you become the ultimate hostess! 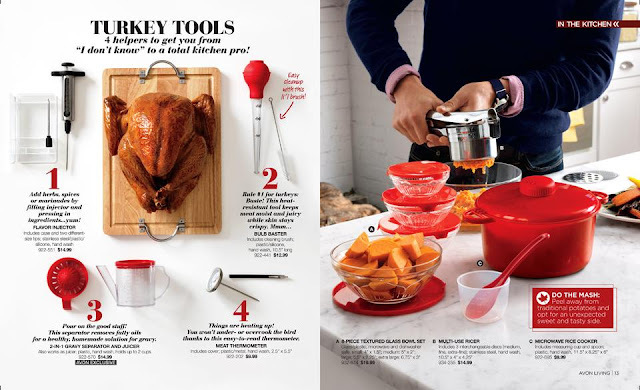 We have all you need to wow the crowd and prep the perfect bird for the dinner party. See how easy it is to transform your home into a glowing autumnal haven or a spook-tacular scene with fun fall decor. Show off your savvy new pumpkin skills or throw a killer party for all the kids. Whatever kind of party you plan to host this season, we definitely have you covered! 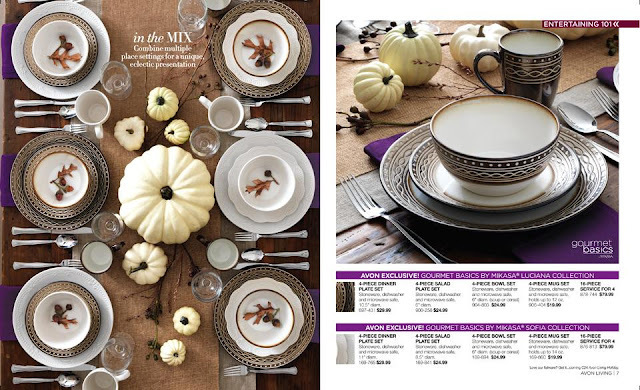 So relax and start shopping with your Avon Representative (me!) at www.youravon.com/smoore for all your favorite fall finds and share your own picture-perfect moments on social media with #AvonLiving. Happy Harvest! !